Effective October 15, the Rainforest shuttle that connects the Lobo Rainforest and UNM main campus, will offer extended hours of operation Monday to Friday, from 7:30 a.m. to 6:45 p.m. 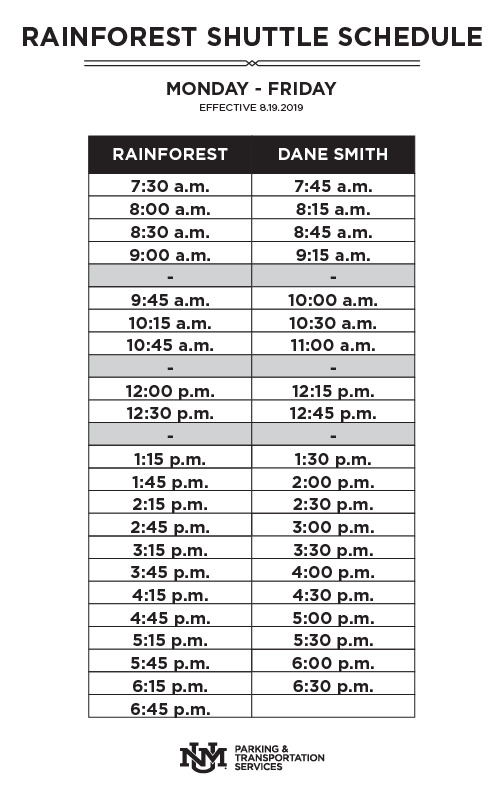 The shuttle is scheduled to depart form the Lobo Rainforest parking lot approximately every 30 minutes and arrive at its Dane Smith destination 15 minutes later (traffic dependent). See shuttle schedule. Don't miss your ride! You can track the Rainforest shuttle real-time via "Where's My Bus?". Visit wmb.unm.edu or download the LoboMobile app to see all UNM and ABQ Ride shuttle routes and stops real-time. UNM Students registered for at least 3 credit hours and benefits eligible faculty and staff qualify for a free ABQ Ride bus pass sticker. 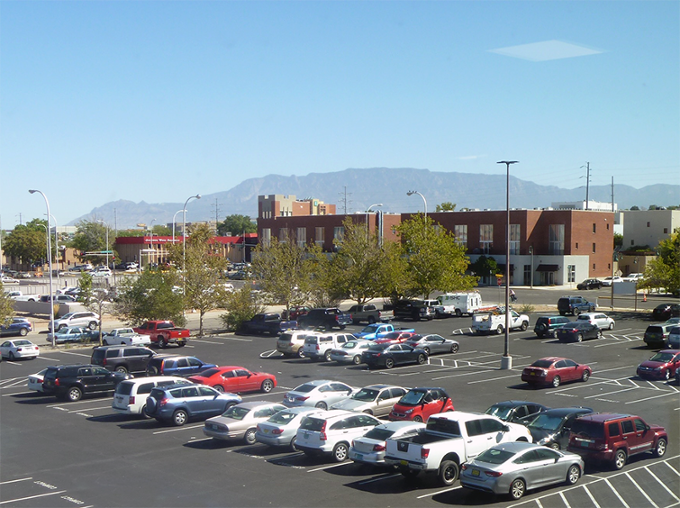 Several ABQ Ride buses provide regular transportation to Main Campus UNM. Catch ABQ Ride bus 66, 766, or 777 near the Lobo Rainforest and arrive at UNM Main Campus in approximately 15 minutes.